Aquarius’ have a special air to them that can be easy breezy or gail-force depending on, well, which way the wind blows. From the rebel to the humanitarian, the Aquarius personality embodies a wide range of emotions and is subject to moodiness. For all those looking to buy for an Aquarius, or for the Aquarius’s looking to up their wardrobe game, here are five hoodies to suit your many moods. Known for their often time aloof emotions, Aquarius’s are the first to be lost in a day dream, and sporting a hoody with a surreal graphic is the perfect way to show off this imaginative side. The Great Ramen Wave adds just enough dazzle to the ordinary, to give off a “down-the-rabbit-hole” vibe, with plenty of room for interpretation. The classic Japanese wave invades the bowl of ramen to create a scene that the Aquarius can’t help but dive into head first. The Aquarius has plenty of idiosyncrasies that they love to celebrate. These quirks give their fashion exploits a rather eclectic side that results in hoodies like Selfie Giraffe in New York. 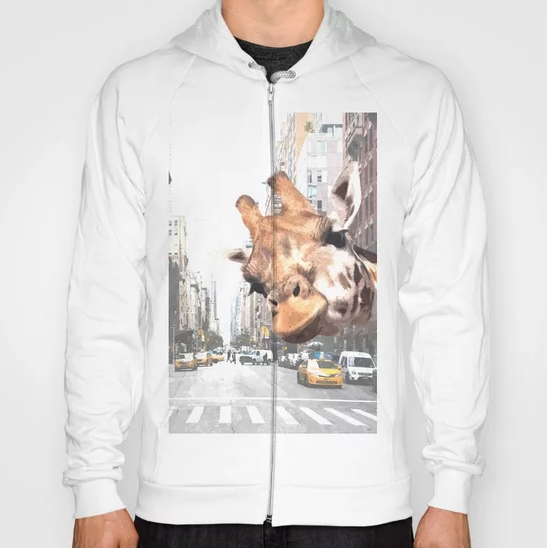 With a giant giraffe face and a bustling city background, this hoody peaks the interest of the Aquarius quirky side. A rebellious nature is something that the Aquarius takes great pride in and is known well for. This rebellion is most easily manifested in their choice to wear shocking and oftentimes outrageous clothing. 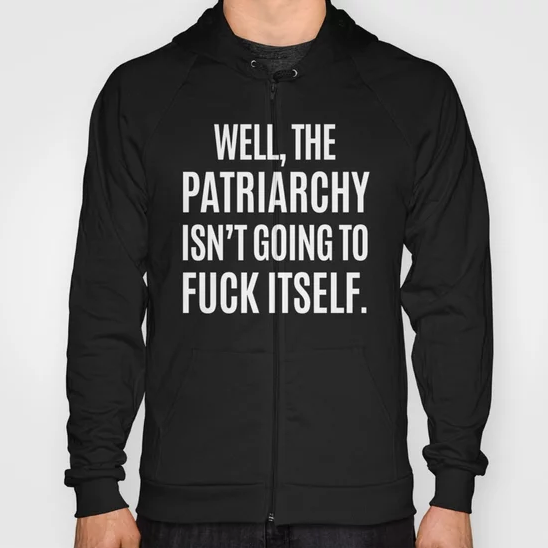 That’s why this Well, the Patriarchy isn’t Going to F*** Itself hoody or the Cured hoody, that speaks out against homophobia, are the perfect accessories for the politically charged Aquarius. A statement with a tinge of humor, these hoodies speak the mind of the wearer and are sure to turn a few heads. Known for taking chances, being a little wild and having their head up in the clouds, the Aquarius will do anything for love. 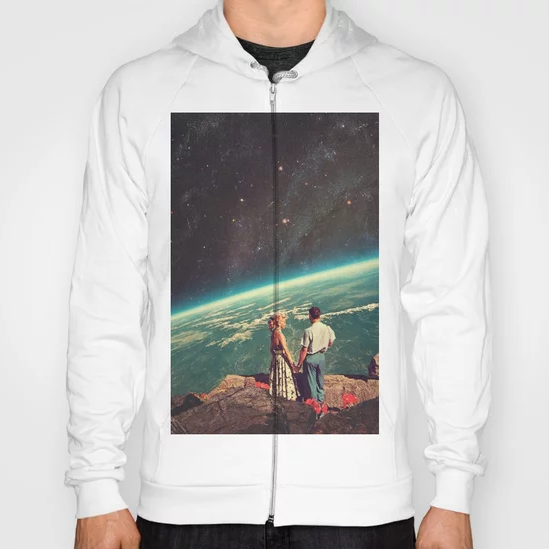 That’s why this Love Hoody, which combines a vintage romance with an outer space scene, is perfect for the lover-side of the Aquarius that wants to prove that they’ll go to the edge of the world for that special someone. The Aquarius is a trendsetter who believes in finding their own unique pieces to accessorize with. 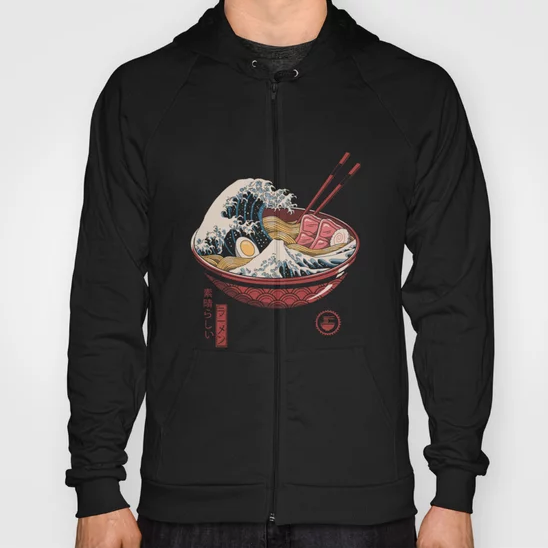 Here’s the good news: with hundreds of hoodies featuring graphics and illustrations from artists around the world, it’s easy to find that unique piece that the Aquarius is looking for. 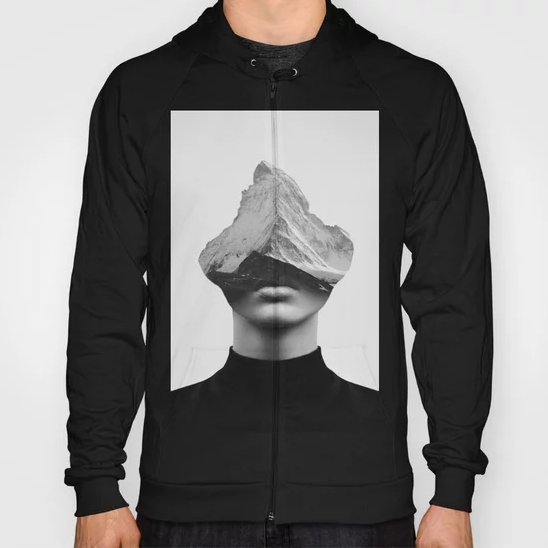 From the comical Avocado Yoga hoody that features a sequence of an avocado in yoga poses to a more surreal Inner Strength hoody, which blends a woman’s face with a mountain, there’s plenty of unique pieces that can help the Aquarius show off their original side.